These azaleas will amaze ya! Azalea plants are prized for their delicate flowers and deep green leaves, and this simple gift makes the most of both. 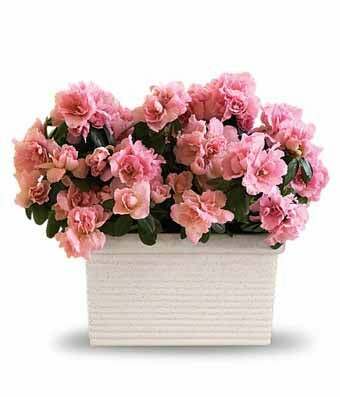 The beloved pink flowering houseplant is delightfully presented in a white ceramic planter.